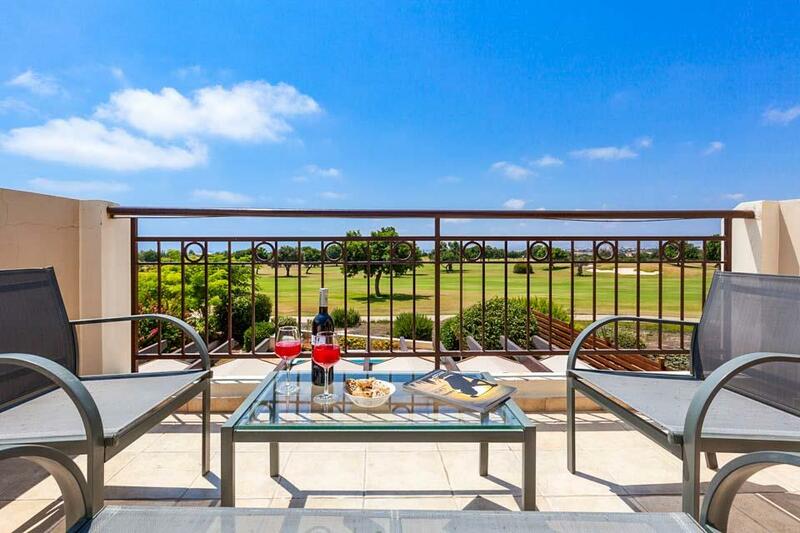 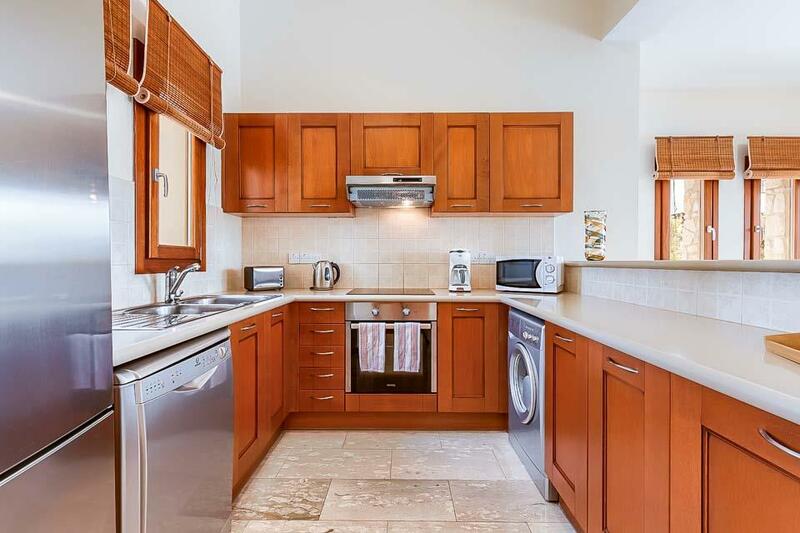 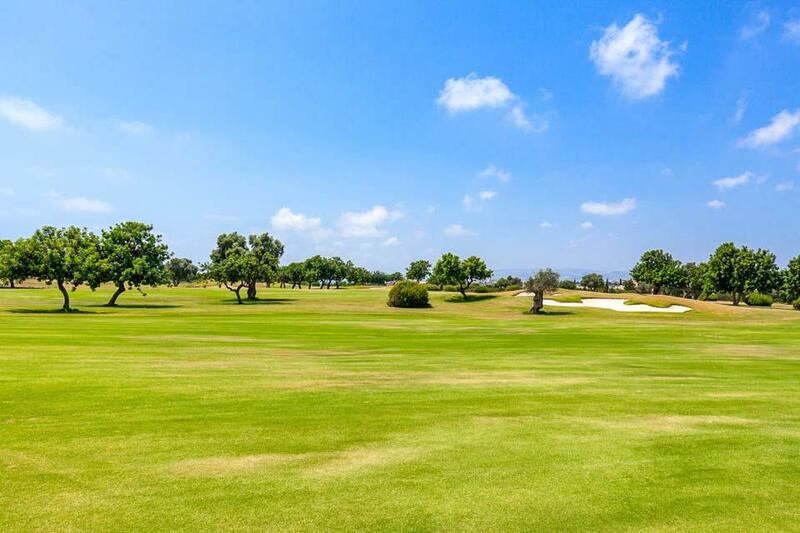 This beautiful two-bedroom Villa is located on the western plateau, and enjoys fabulous views of the Golf Course. 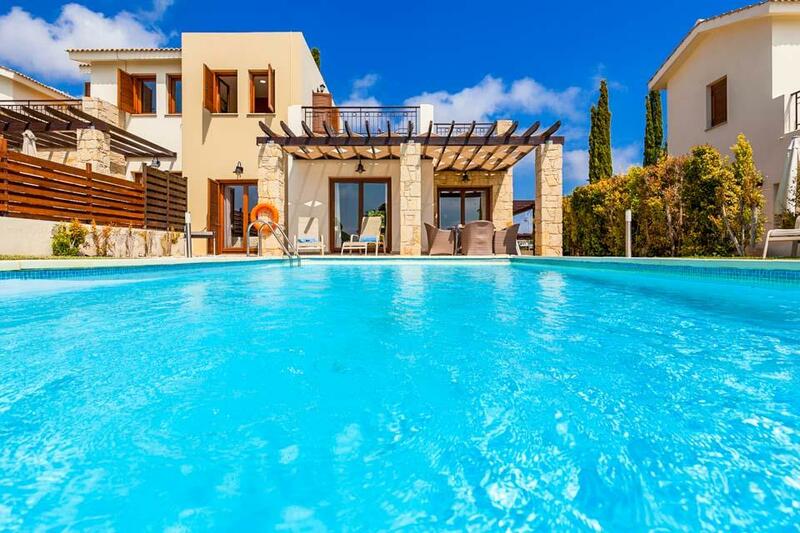 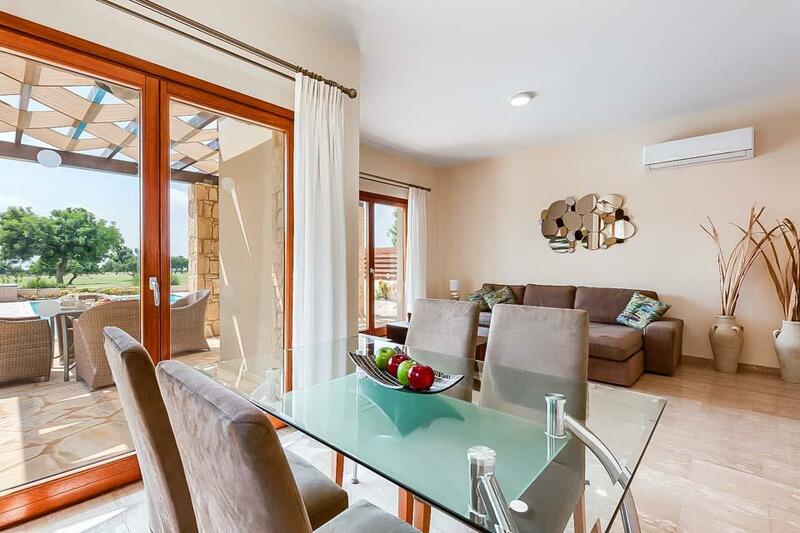 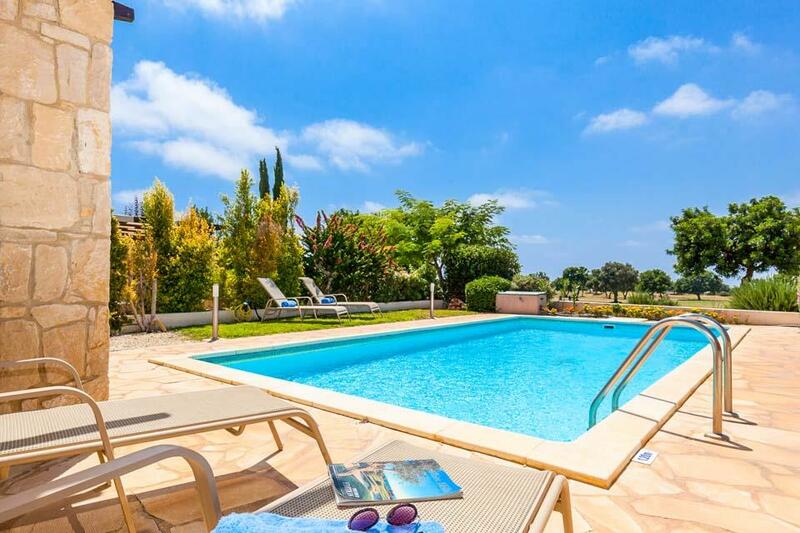 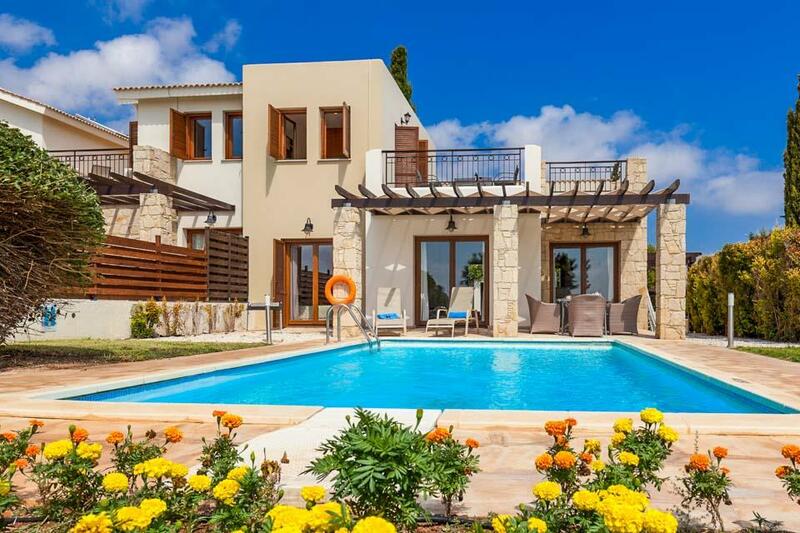 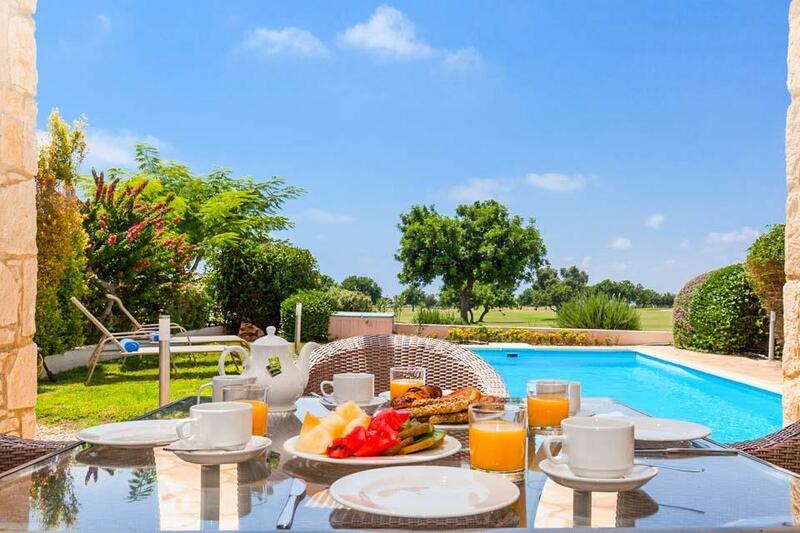 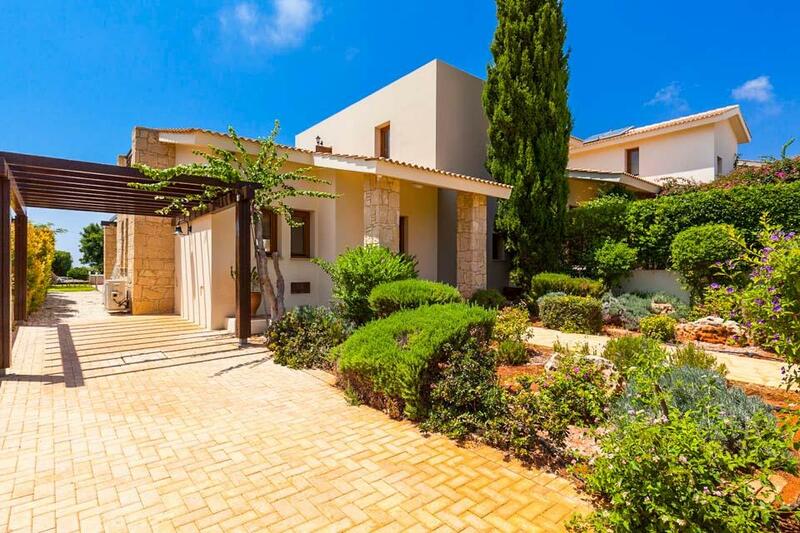 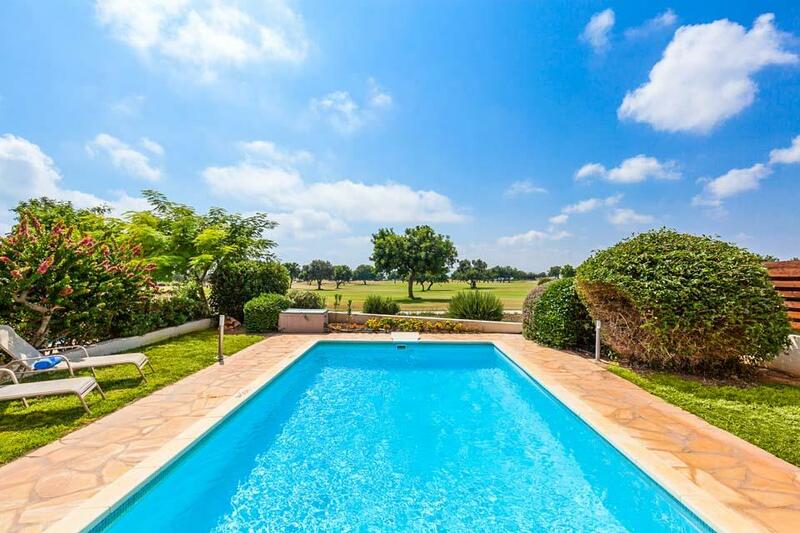 This beautiful two bedroomed Junior villa is located on the western plateau within walking distance of the Village Square restaurants and shops and enjoys fabulous views over the Golf course. 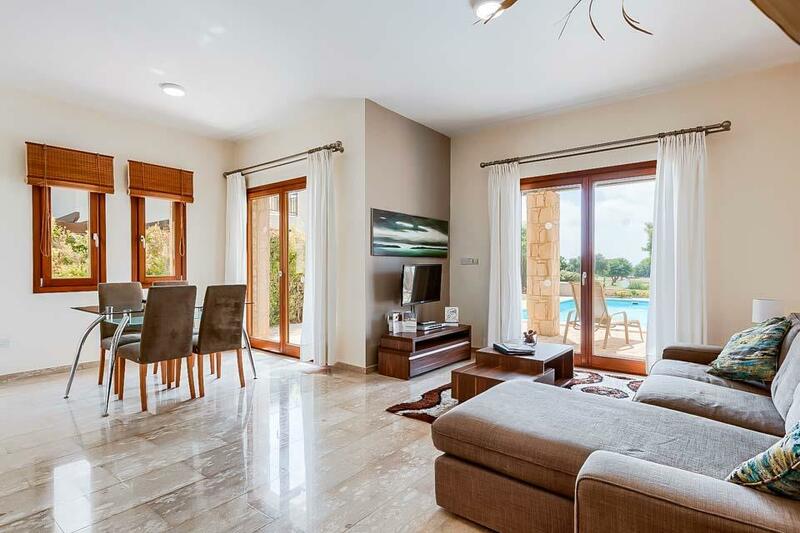 Located on the ground floor are the living areas which are modern, light and bright and decorated in neutral tones with modern fixtures and fittings, they also offer direct access out to your garden and pool area. 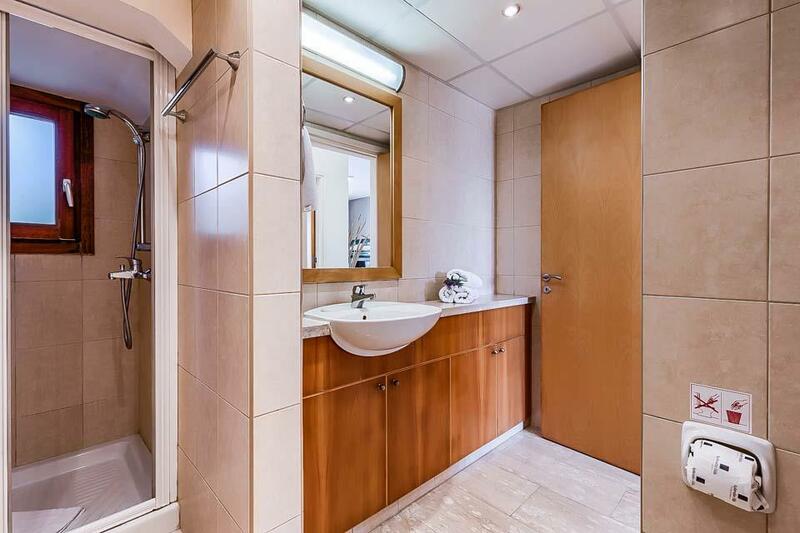 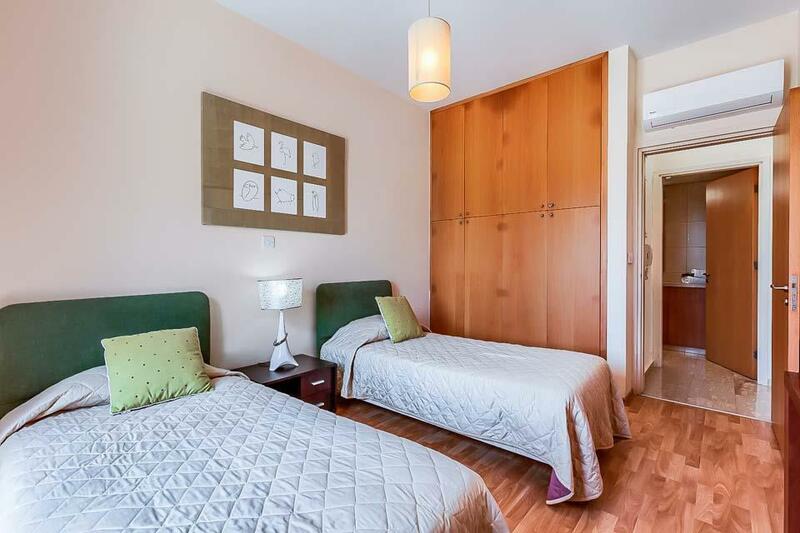 There is one bedroom on this level, offering twin beds with an adjacent shower room. 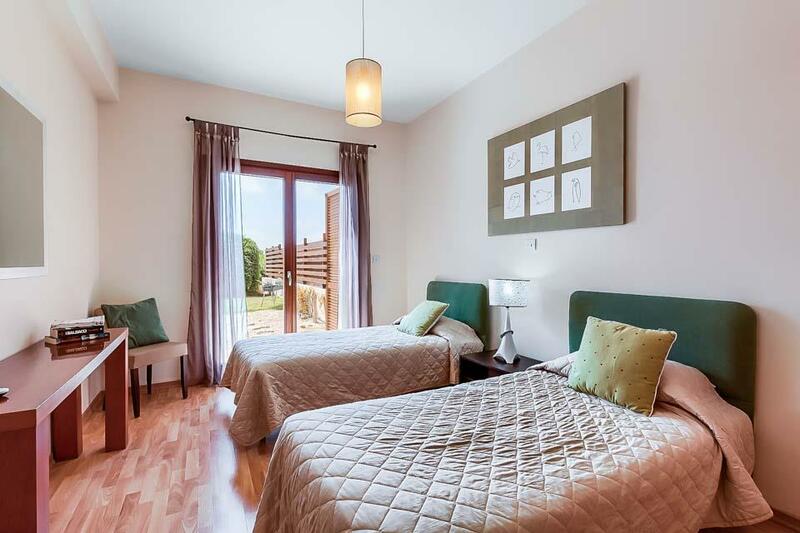 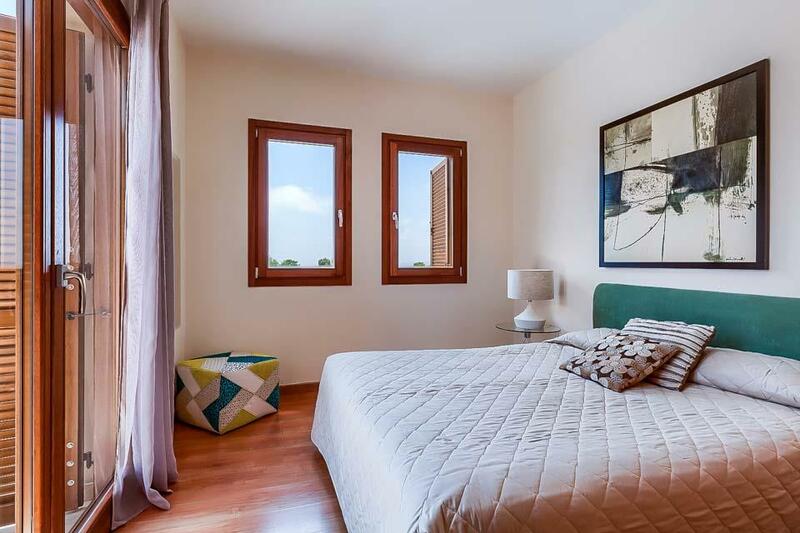 On the first floor is the double master bedroom with private shower room and its’ own balcony. 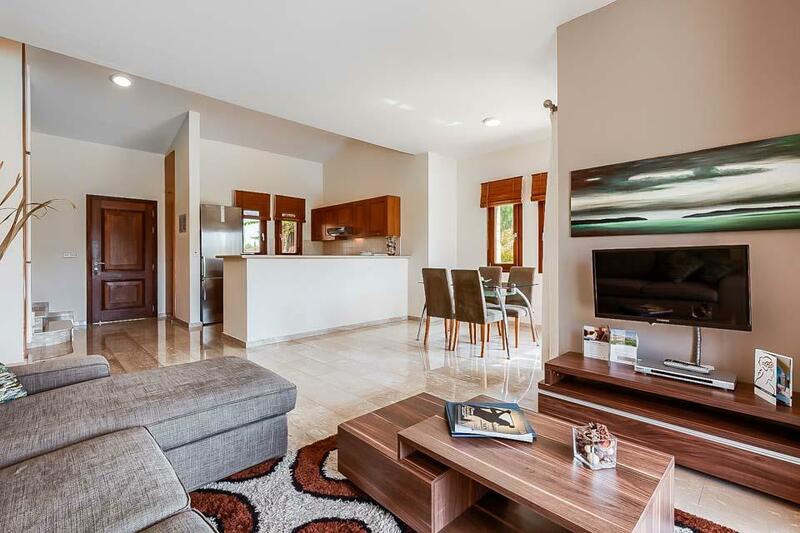 *An IPTV system providing an endless array of worldwide channels including some UK favourites is available at an extra charge. 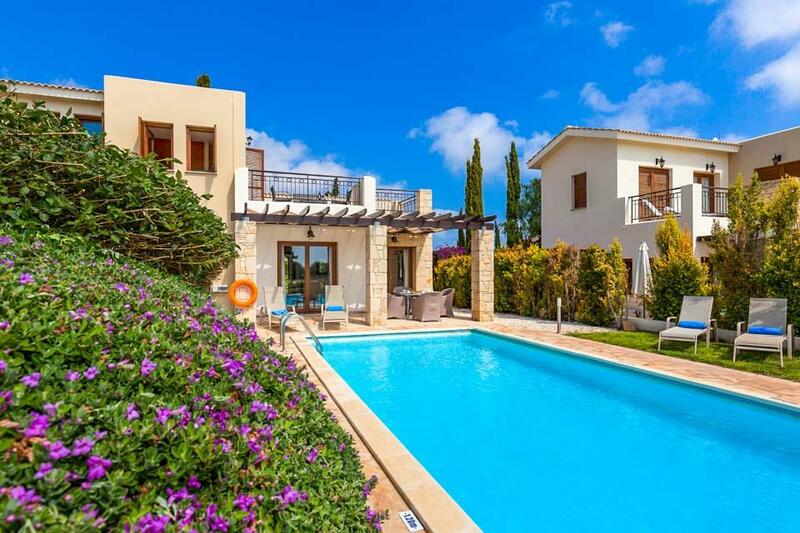 For more information on the Aphrodite Hills Resort - click here.